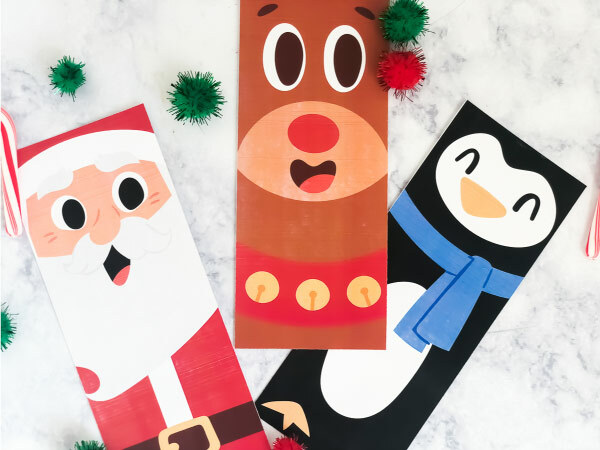 Inside: Download these free printable Christmas coloring page bookmarks for your kids to use this holiday season. 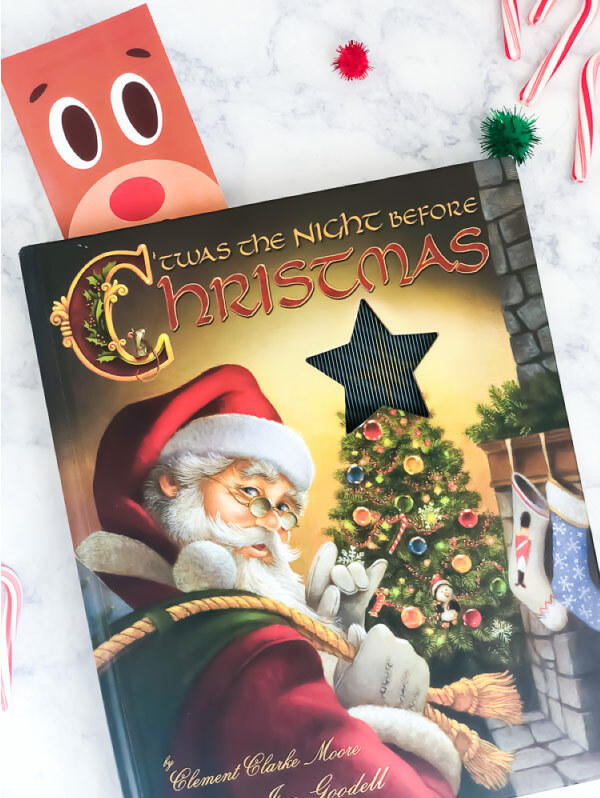 We’re in the full swing of the Christmas season and that means it’s time for all things Christmas! 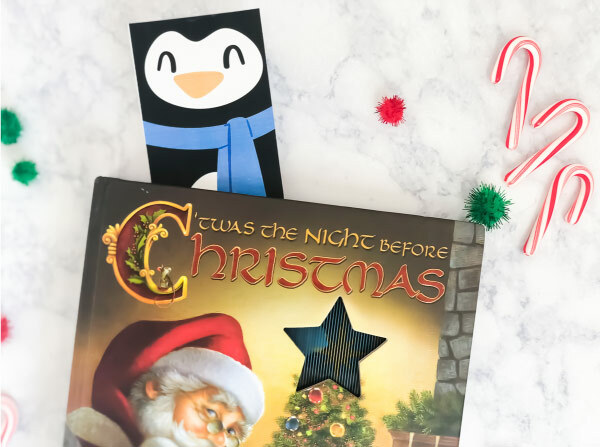 In our home, we always feel like Christmastime just flashes by in the twinkling of an eye, so we try to do as many fun activities as possible in the month of December. 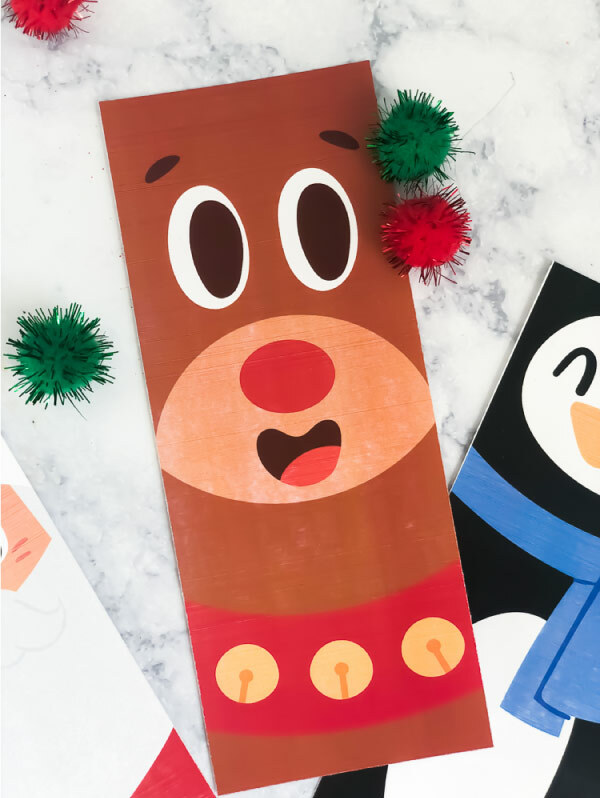 Some of our favorites have been this elf craft for kids, this handprint reindeer craft, this printable Christmas activity pack, and this simple Santa handprint craft. 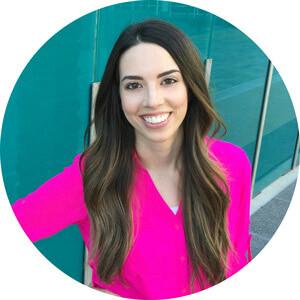 Today, we’re sharing a simple activity for those days when you want to do something festive but you just don’t have a lot of time (or energy)! 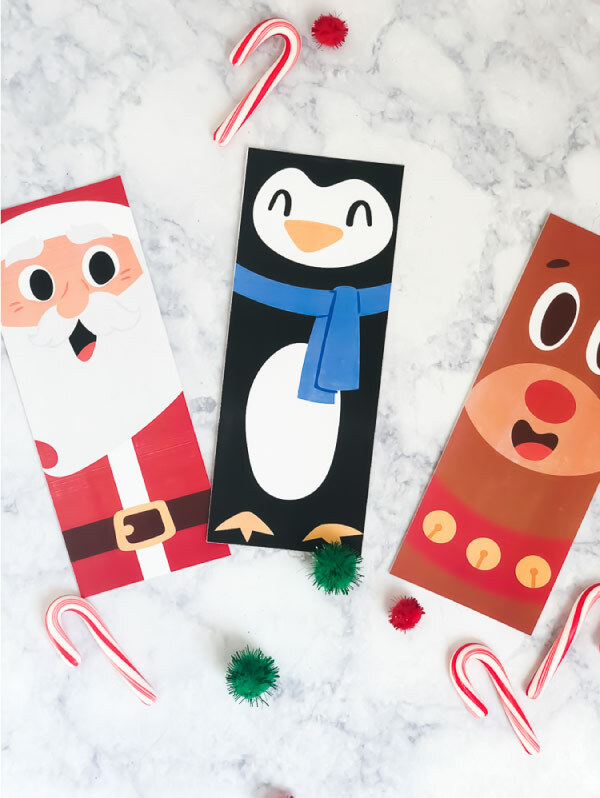 Read on below to see how you can download your own free copy of these Christmas themed bookmarks. 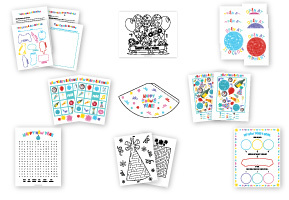 Coloring is such a classic pastime for kids and with good reason too! 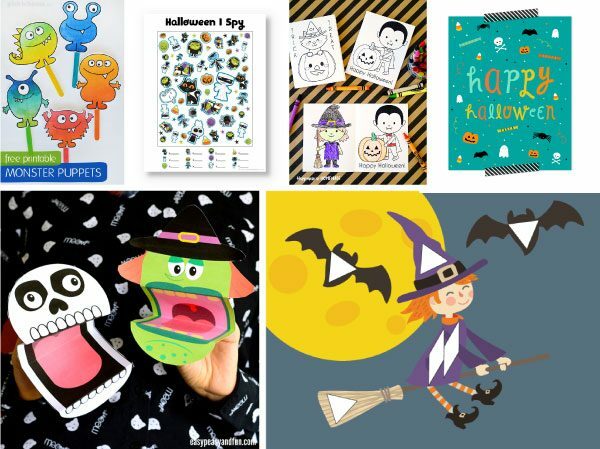 It’s simple, requires very little supplies and is fun for kids of almost any age. It’s a pastime that we love doing around our house because you can do it at a moment’s notice and it brings the whole family together. 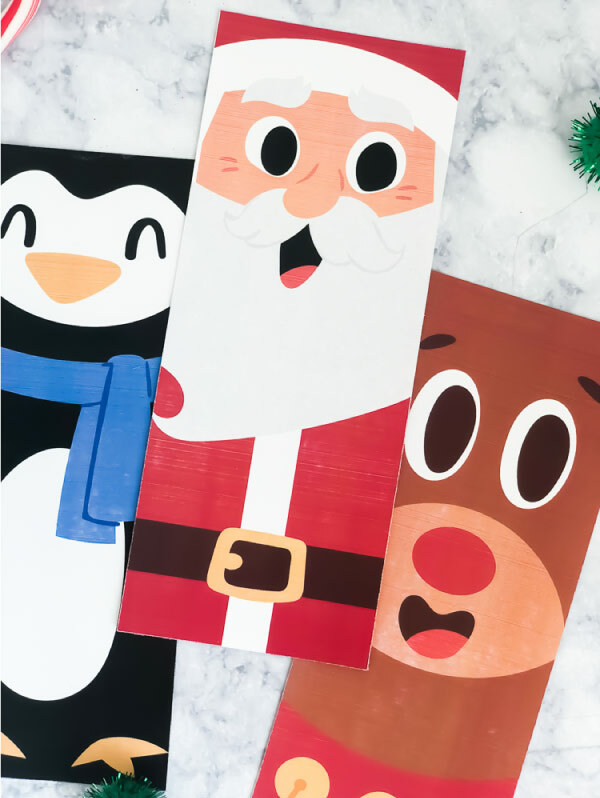 We recently used these Christmas color by number printables and the kids really enjoyed them too. 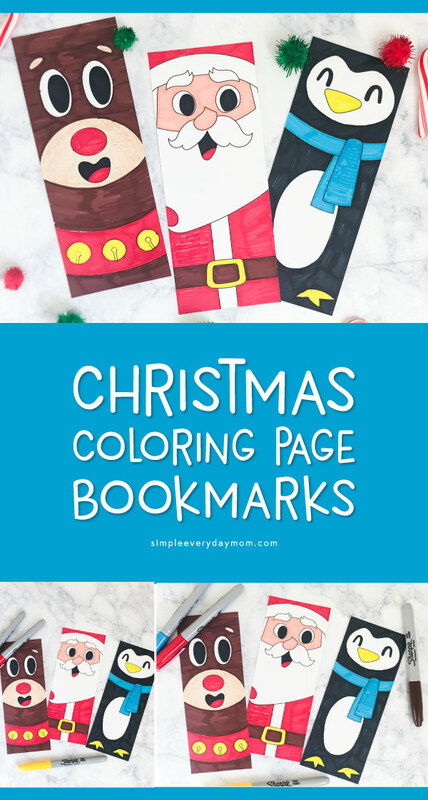 And, if you don’t feel like coloring, you can also just print these bookmarks out in full color and be done. 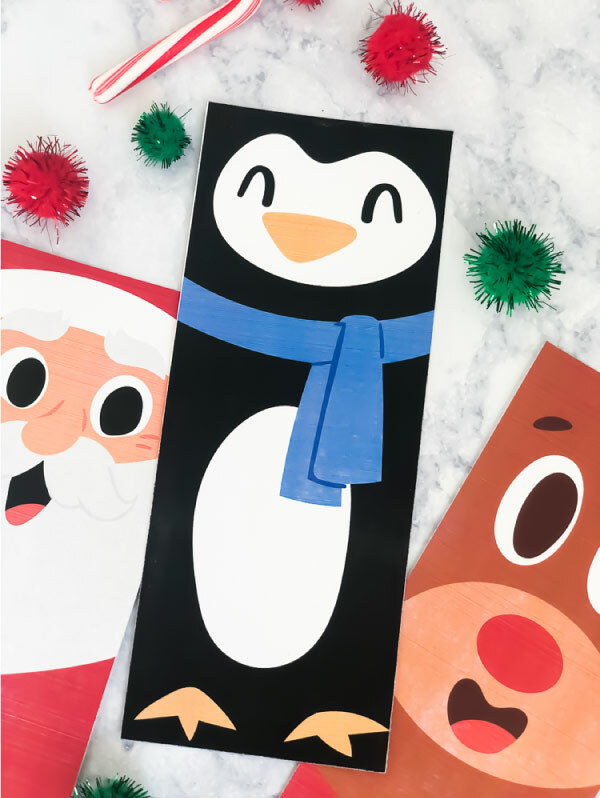 In this set, we’ve included a Santa Claus bookmark, a Rudolph the red nosed reindeer bookmark, and a cute penguin bookmark. They’re all so adorable, but I think the penguin might be my all time favorite. 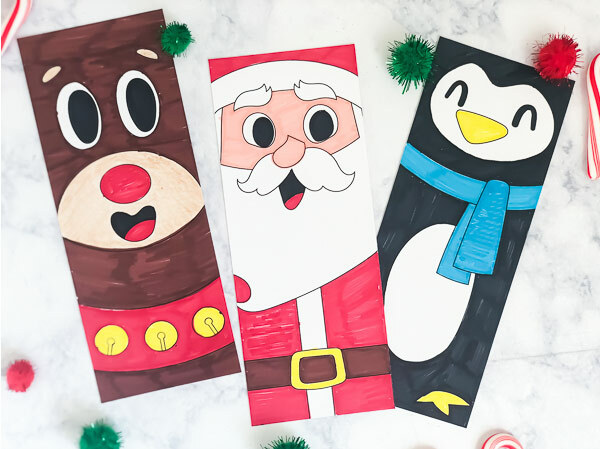 These coloring page bookmarks are also perfect for use in the classroom. 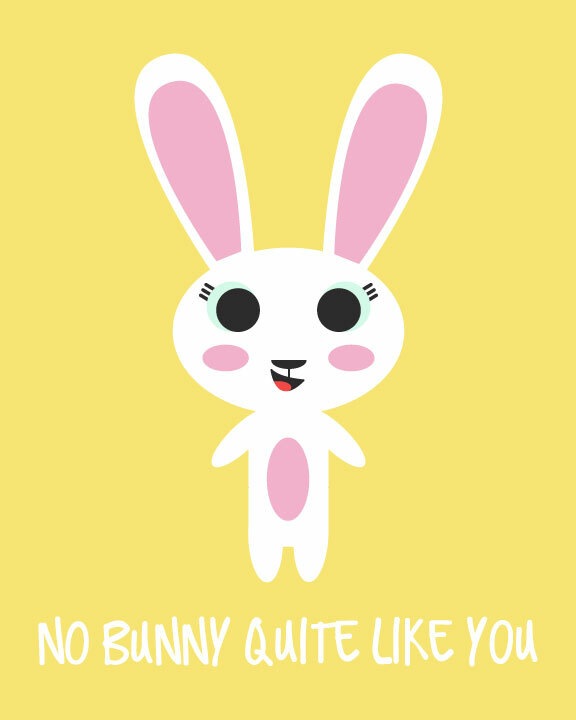 You can print them out and have the students color them in and then use them for any books they’re reading in class. Don’t forget to download your free copy by entering your email in the form at the bottom of this post!